A BIG thanks to The Pioneer Woman for this tasty casserole recipe! Cook 1 cut up fryer and pick out the meat to make two cups. Cook spaghetti in same chicken broth until al dente. Do not overcook. When spaghetti is cooked, combine with remaining ingredients except additional 1 cup sharp cheddar. 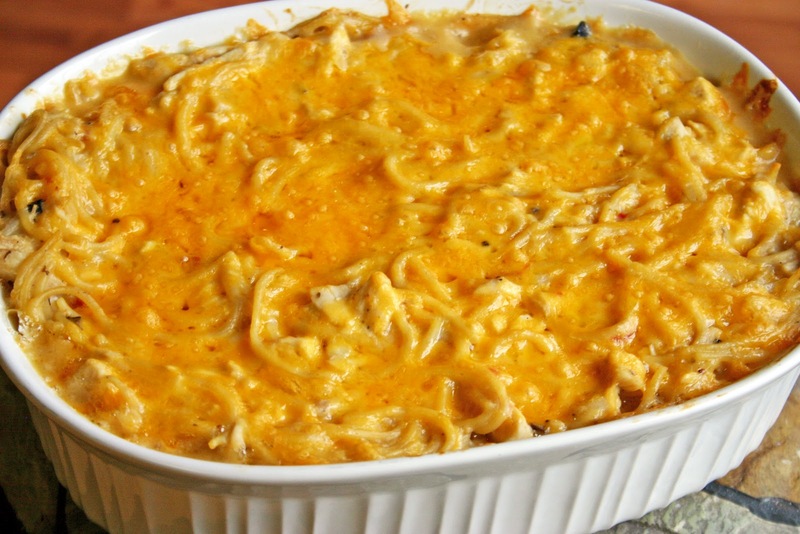 Place mixture in casserole pan and top with remaining sharp cheddar. Cover and freeze up to six months, cover and refrigerate up to two days, or bake immediately: 350 degrees for 45 minutes until bubbly. (If the cheese on top starts to get too cooked, cover with foil). Combine dry ingredients in a mixing bowl (6 ingredients). Slowly add remaining (wet) ingredients until completely combined. Spray 9 x 13 dish with cooking spray and pour mixture into pan. Bake at 350 degrees for 30-35 minutes or until toothpick inserted comes out clean. Top with frosting once cake is cooled. Warm on stove at medium heat until butter is melted and combined with milk and cocoa. Another favorite recipe from an amazing cook; my mom! Place stew meat and chopped onion in a crock pot and cook on HIGH approx 3-4 hrs or LOW 5-6 hours. Season stew meat with salt and pepper. In a bowl combine soup, milk, sour cream and lemon juice. Pour over stew meat and continue to cook on LOW for 2 hrs or until thoroughly heated through. Boil noodles until tender. Drain. Serve Stroganoff over noodles and season with salt and pepper if needed. 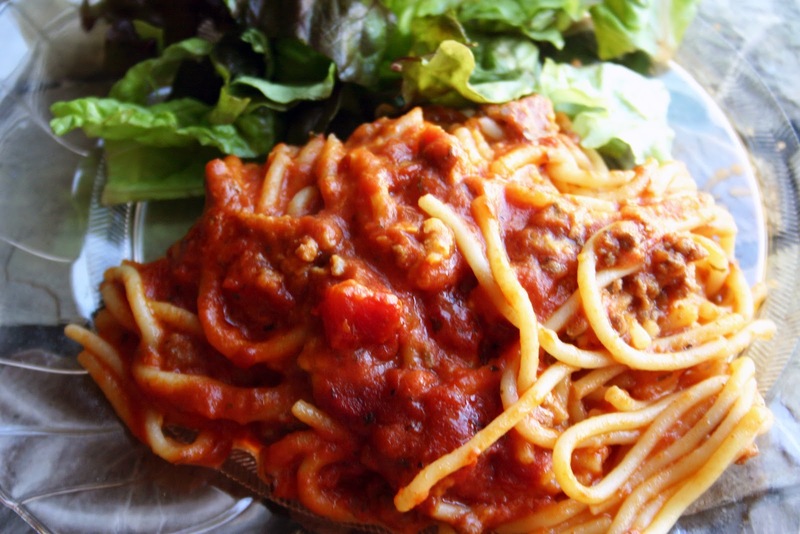 My sister in law Stephanie makes this awesome spaghetti dish for her family and now we make it quite often in our house. 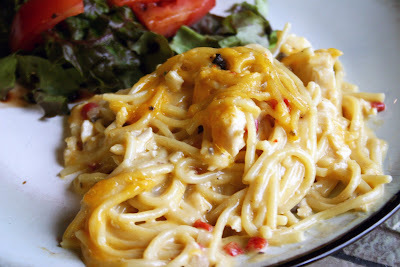 I like how mild the flavors are, especially for my 3 picky eaters, but they are definitely not picky about this meal! Preheat oven to 350 degrees. Spray a 2 1/2 -3 qt. casserole dish with cooking spray. Cook spaghetti in lightly salted water according to package directions. While spaghetti is cooking, combine tomato soup, milk, and spaghetti sauce in a bowl and set aside. Put half cooked spaghetti in bottom of prepared casserole dish. Sprinkle with half of sugar. Then sprinkle with half of the cheese. Next add half the hamburger and then half of the sauce. Repeat layers with remaining ingredients. Bake 1 hour until bubbly. My mom gave me this chicken recipe and it is fantastic. If we're ever in the mood to throw some chicken on the grill, this is the marinade recipe I like to use. Combine ingredients for the marinade into a gallon zip-lock bag. I like to butterfly the chicken breasts and then cut them in half so you have a thinner cut of meat to soak up the marinade. Add chicken to the zip-lock bag and place in the refrigerator for at least 1 hr. Grill chicken on medium low heat.